It seems like one organization wasn’t too happy about Peyton Mannings decision to drink a lot of Budweiser after Super Bowl 50. The Brewers Association wanted Peyton to try something fitting of his career so they sent him a craft beer care package. “Wouldn’t he rather have a beer more fitting of his superstardom; maybe a beer that more closely represents the Bronco’s status as an underdog? 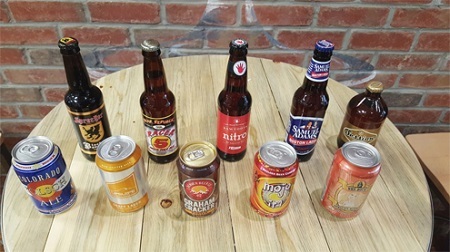 That’s what we believe small and independent craft brewers represent,” the CraftBeer.com staff wrote Thursday. It’s definitely a nice idea for the craft beer industry to do this. With the industry becoming more and more popular why not try to get one of the NFL’s master promoters involved. Regardless if Peyton speaks about his package or not the industry has gotten a nice promotional boost.